I will be honest and admit that I hate working out. Just the thought of going to the gym or exercise in any form bores me. Some people recommend walking on a treadmill but I would rather go to the dentist. Even walking outside gets boring after a few days because I have seen it all before. My mind constantly needs to be stimulated and it is was very hard for me to find some way of doing that. Then one day while trying to get work done around the house, I turned on my MP3 player and realized it helped block the random thoughts in my head about what else I could be doing. That is when I knew the only way to get excited about working out was to Get Motivated With Music. I knew that once I was able to Get Motivated with Music, I needed a way to to keep track of my activity. I dusted off my FitBit and started wearing it every day. Now I can evaluate my daily activity and keep track of how I am doing by comparing my days. I can also use the FitBit app to track my food and water intake. I strongly suggest using a Fit Bit, Misfit Shine, Jawbone or other popular tracking device. Once you are set with your tracking device, you need to create a playlist that will energize and get you motivated. it may be beneficial to create a few different play lists based on the activities you are going to participate in. Yoga or Pilates will require something calm and meditative while walking, jogging, aerobics, and running will require more upbeat tunes to help you push thru when you are ready to give up. I would suggest a song at the beginning and end to help you warm up and cool down. Once you have your playlist set, you need to decide how you are going to listen to your music. 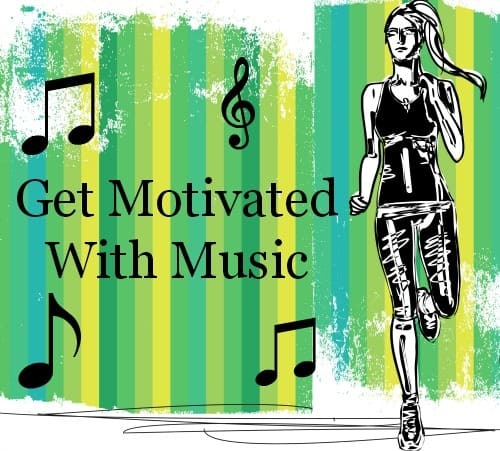 Not everyone can Get Motivated with Music and you don’t want to get kicked out of the gym or off the track. I have tried many different ear buds but my favorite are the pair I got this summer. They are created by YurBuds. Yurbuds are the first earbuds I have tried that did not fall out while running or working out. Most earbuds fall out with impact and studies have shown that most people miss out on extending their workout because their ears hurt from their earbuds or they fall out and they get frustrated. Yurbuds was founded in 2008 by an Ironman Triathlete and a 24-time marathoner in response to that problem. They are ergonomically designed for comfort and exceptional fit, while providing best-in-class audio quality and durability. Yurbuds is passionate about serving their customers and our community. They listen to and learn from athletes to produce solutions to their needs and are dedicated to innovating and creatively changing the industry of sport audio. Their goal is to empower athletes through exceptional products and services to help them to push past their barriers, reach new personal bests, and #neverstop. When wearing my Yurbuds, I have experienced no discomfort and find that I don’t usually realize I am wearing them. They are also great at reducing background noise so I can focus on my music and stay motivated to workout. The only thing I don’t like about any earphones is the cord. Yurbuds has fixed that with the release of their new Wireless Sports Earphones. · Smart Batterypowers a week’s worth of workouts and provides visual and audible indicators when running low. 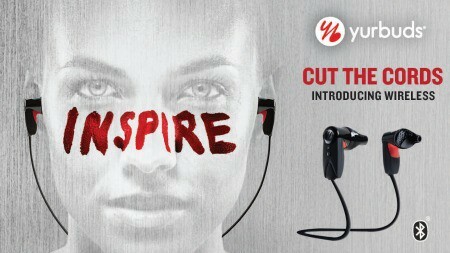 You can find Best Buy’s large selection of Yurbuds here and all their Health and Fitness products here. For a limited time you can save 20% on all Yurbuds purchases with Promo Code: yurbuds20off and enjoy a $5 Best Buy Gift Card when you purchase a qualifying Health and Fitness purchase. So as you look for ways to keep going with your fitness goals find something that will keep you going back to workout. It may be a friend, the promise of new clothes or you may Get Motivated With Music. Whatever it is make sure to try out the new Wireless Earphones from yurbuds. You can also see how the Misfit Shine can help keep track of your steps and other fitness goals and not be noticeable when worn to work. Celebrity Weight Loss Program: Lose 5-10 Pounds in Just Two Weeks!